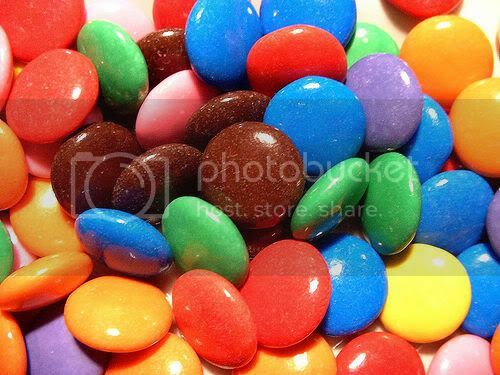 Yes, I’m a big fan of Smarties – I used to eat them all the time and lick them and stick them on my face to make colored circles on my nose and cheeks (you know you did it too). Those little candies have just launched a new campaign called “Colors For A Cause” that makes it fun and easy for people to help Smarties decide where to direct donations to some great organisations doing their part to help the world. When you visit the campaign site you first see six Smarties candies (in six different colors) spinning around, each representing specific causes like the environment, arts, sports, health, humanitarian and animal protection. By clicking on a Smartie you learn more about each specific cause area, including easy ways you can help make a difference (like building a bird feeder to help animals or playing frisbee to help with your health) along with some interesting facts (like the worlds fastest tennis serve was 249 kms and the artist who designed the Rolling Stones lip logo was only paid 50 pounds). Next up, the fun part, telling Smarties where you’d like it to donate the 10 cents donation it is making on your behalf. There are two ways you can decide how to donate – one is an easy one, simply click on the interactive big Smartie and allocate specific percentages to each cause (it takes a bit to get used to how it works but keep trying), 100% could go to animal protection or you could divide a percentage equally to each cause. If you aren’t sure, there is a 10-question quiz that offers you some multiple choices and uses your answers to get a sense of the kind of person that you are and suggests a specific percentage breakdown to each cause. Once you’ve made your donation choices there’s an easy way to invite your friends to help make a donation with a Facebook application. The Colors For A Cause Facebook app (you’ll need to accept it to check it out) has a nice visual overview of where the money thus far has been directed by visitors – today the leader is the environment – and shows how much you have donated (you can come back every day to vote during the campaign perioid) as well as how much your friends have donated (based on them seeing the campaign in your Facebook feed). And the page also includes a runny tally of how much Smarties will be donating based on people who have participated – with the total just clearing $20,000 – showing how quickly 10 cents can add up. And there’s also a Colors For A Cause store where you can buy hoodies or t-shirts or posters to raise even more funds. What can we learn? For one thing, everyone loves to help the world, and this campaign provides a natural “feel good” vibe to it. I know it’s only 10 cents per visit but those ten cents can add up quickly and by being able to visit the site every day during the multi-week campaign you can help drive the totals up. It’s sort of like a virtual water fountain, the ones that people throw coins in that are collected for charity. I also like the easy way to integrate with Facebook and to see how much money you and your friends have contributed. And the content and easy way to browse through different causes and also learn what you can do to help (beyond making a donation) is also a great way to keep the authentic voice high for this effort. How can we make it better? Not sure what’s being done off-line (as the campaign is taking place in Canada and I’m in Australia) but would love to see some giant Smarties costumed people out and about where the youth are playing this Summer in Canada – handing out smarties and directing people to the website. It also would be nice for people to be able to add a “why I’m supporting a specific cause” to make it more personal and to feel like their voice could motivate others. And I’m also a big believer that people like to see their name – so some type of scrolling leaderboard of people’s first name and last initial could have been nice too. And just saw that the Facebook feed about the campaign shows up but there isn’t a link that someone could click on to get to the campaign to participate. All in all, I love it, it works on so many levels and positions Smarties as a brand in touch with the interests of its young fans and has a lot of fun in the process. Now, go vote, the campaign is over in 2 weeks!